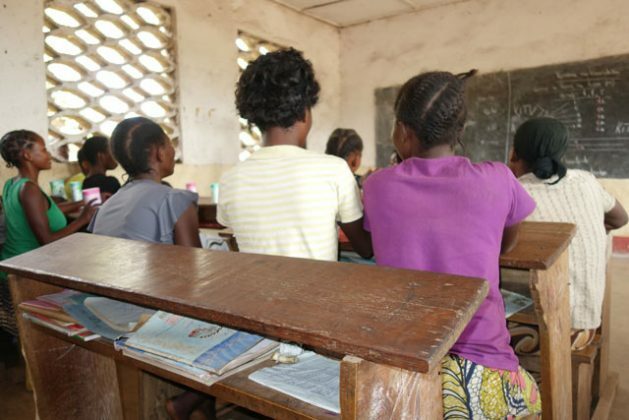 UNITED NATIONS, Jun 20 2017 (IPS) - In the Democratic Republic of Congo (DRC), the active recruitment of young girls by armed militias has produced disastrous effects—facing social stigma when they’re freed, many girls find their way back to these violent groups and rejoin them. Half of the girls, employed as what are called “operation units”, are sexually assaulted by soldiers. Among these violent defensive militias in DRC, also known as Mai Mai, girls accounted for up to 40 percent of all underage soldiers. On the International Day for the Elimination of Sexual Violence in Conflict, celebrated June 19 and commemorated three years ago by the UN, Child Soldiers International (CSI) released an important report outlining the aftermath of this violence. “I left [to join the Mai Mai] after they raped my mother in front of all of us, even my father. I felt shame, pity, anger. One day I decided to take up arms to avenge my mother,” a former girl soldier, who is 19, explained. Most of the girls, who were interviewed in early 2016, were abducted by groups such as the Democratic Forces for the Liberation of Rwanda (FDLR), M23, and the Lord’s Resistance Army. At a young age, the girls often endured sexual violence, which became a routine event. While measures such as the Child Protection Code of 2009 brought back 46,000 children from armed groups, only seven percent of those freed were girls. Things didn’t get much better at home. The girls were often shunned by their families, and blamed for their status as victims as of sexual assault. Facing a lack of aid or counseling, many went back to the groups. They long to speak with their families, and go to school, the report says. Instead, they are turned away. This injures their psyche, and can lead to low self-esteem. More has to be done, Sandra Olsson, the programme manager at CSI, told IPS. “Community reintegration and tackling the stigma and rejection these girls face needs to be at the centre of reintegration programmes for these girls. We hope that our research and recommendations will help the DRC government develop girl specific reintegration strategies,” she said. The report, she told IPS, hopes to raise awareness, provide long term assistance to the girls, and finally, end sexual violence in conflicts.